Two beautiful houses for rent, Marilena’s and Spiro’s , are what we recommend for you in the graphic Scala Mystegnon of Lesvou. In a gorgeous natural port and very close to a pristine pebble beach with crystal waters are both two-storey homes. 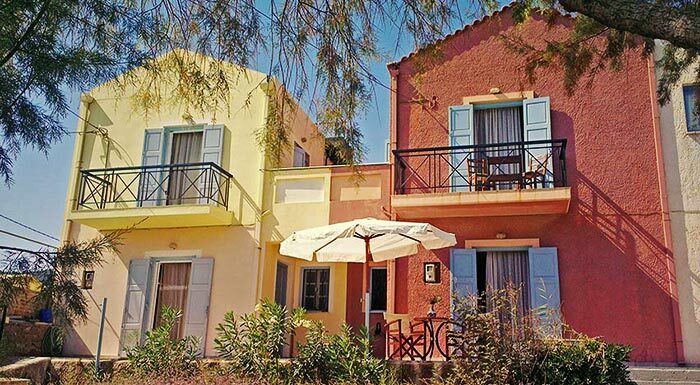 They are each 50sqm, fully-equipped and right in front of the sea. Come enjoy the sunny Lesvos scenery in a calm spot where you can hear the waves wash on the beach – and only 17km from the city of Mitilini.